The success of any business lies not only in an innovative idea but also infrastructure. Business may be small or large it is necessary to get a proper foundation in order to make success a part of your life. Nowadays it is really a difficult task to make your company reach the top. As outlook plays a very crucial role in the reach of your business, time should be allocated for building a perfect infrastructure in order to make your company shine. There are various buildings which are known for their innovative structure in the world. It is noted that for your establishment as a well-known company in this competitive world it is necessary to do something unique. Your uniqueness must be praised by others and also be saved for your organization. Thus, investment in the structure of the company will be more beneficial. Moreover, it builds confidence to both the investors and the employees to join you due to the way of planning you did for laying the foundation of the building. It is well said that the first impression is the best impression and as far as humans are considered impression begins from vision. Hence, if you create an eloquent infrastructure then it might end up in doing miracles with respect to your company’s growth. If it is not impressive then there are chances of you missing a golden opportunity in the future. Your infrastructure must be an awe-inspiring and also eco-friendly. It adds to the enthusiasm for the employees and in turn mark the will to accomplish their task on time. All these will definitely make your company reach the top in very less time. There are several metrics to be considered in a startup to get established from the very beginning. Few points that you have to remember while the beginning of this planning, is to consider our environment and make a space for them within the office premises. And also make sure you are not destroying the ecology while construction as this is the nature’s gift that cannot be replaced by we humans. The selection of location also plays a vital role in the success as it must be accessible for the clients on a regular basis. If the place is not accessible then even though your work is good when compared with your competitors’ clients will definitely give a second thought to invest in you. 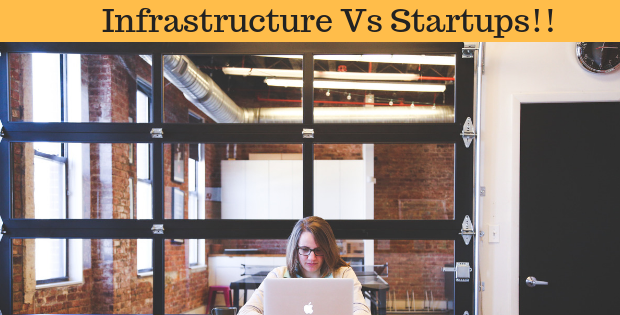 Author adminPosted on December 22, 2018 December 22, 2018 Tags Business, InfrastructureLeave a comment on Infrastructure Vs Startups!! 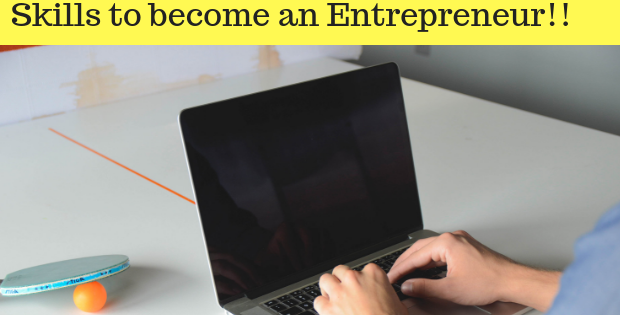 Skills to become an Entrepreneur!! Business is becoming more favorable for youngsters in this modern era. The innovative ideas from the young minds are welcomed by the corporate. As competition is prevailing in every aspect of our life it is indeed necessary to have some unique skills to develop the business. Money administration- It is not only necessary for an entrepreneur, but it is considered to be an effective skill for any human being. If you are making use of money efficiently then it is easier to get profit in the business. An accession of money- Money plays a very crucial role in the expansion of business. Hence, if you are smart enough to invest it in an efficient way, then you will raise in your field in a short span of time. Take-it-easy- If a person is able to keep himself calm in every situation then it won’t be an issue for him to do wonders in his concern field. It is tough to control our mind, but once we gain the control it will be very beneficial. Business friends- For any business, it is necessary to build healthy relationships with similar minded people in order to expand your reach. Identify yourself- It is indeed necessary to get to know your strengths and weakness in order to succeed in your life. As your decisions will definitely affect the business on the whole along with the relationship with employees. Recruitment- As a company’s head it is your responsibility to get yourself involved in the recruitment of efficient employees in order to raise the ladder of success. Training- Your work does not end with recruitment but it is necessary to mold the new joiners as per your requirement in order to give a clear idea to them about your company. Moreover, this will add the confidence for the new joiners to boost up their performance. Management skills- Managing skills is a valuable skill for maintaining a healthy connection with both employees and the clients in order to flourish in your respective field. Spotting of the latest trends- For any business to move fast, it is crucial to have the vision about the latest trends in the market in order to make a unique place in the heart of customers. These steps when kept in mind will definitely help you to become a successful Entrepreneur in the market within a small period. Author adminPosted on December 22, 2018 December 22, 2018 Tags Entrepreneurship, Skills to become an EntrepreneurLeave a comment on Skills to become an Entrepreneur! !